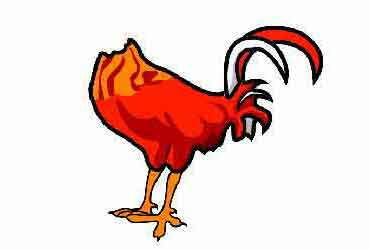 If you want to make lots of money trading in 2019, then you need to stop being a headless chicken and develop expertise in trading a setup or couple of setups. Once you master a setup you will develop an edge. Then you can either increase number of trades or risk per trade to make more money. How can you develop an expertise in trading a setup? First step is to find things that work in market and are structural in nature and build your trading methods around them to exploit that market tendency. For example all my setups are based on momentum. Momentum is one of the most enduring structural tendency in stock market.If you base your methods on structural tendency of the market then you are likely to be profitable. Finding structural tendency is just the beginning. After that you need a daily process to extract money using that phenomenon. What makes some of this process difficult is that you have to figure out everything for yourself. There are many resources you can tap but ultimately the responsibility of making it work is your own. Not everyone can do it and that is why there are many unsuccessful and bitter traders. You have to design your own method, devise your own rules and have enough confidence to trust your own method. Every successful trader goes through that. This process is time consuming and costs money. If you stay in this game long ultimately you will figure out a way to profit from the market. There is an alternative which is less painful and less time consuming. You build your trading , process, and method around someone else's trading . This can allow you to substantially reduce the time curve and reduce your risk. Look for successful traders and in the beginning faithfully copy their method. Once you have success with it , then build over it and add your own nuances. Usually these kind of moves happen because there is unknown fundamental reason which only market knows. We don't need to know that reason to trade and make profits as long as we can trade them with some well defined strategy. Usually you will know the reason after the fact after the move happened from media!